Last month we touched upon the latest rumored Apple product. While the rumors of a television set have been wide spread, it's the "iWatch" that has garnered the most interest because of the potential market that the company could be on the verge of creating. Little is actually known about the device, but speculation is rampant, especially since Apple design chief and wunderkind Jony Ive is known to have a particular interest in watches. There are rumored to be 100 product designers working on the gadget that can perform some of the tasks now handled by the iPhone and iPad, like making calls and checking a map. A recent Bloomberg article featured an interview with Citigroup Inc. analyst Oliver Chen, who said that the device could create the next big market. 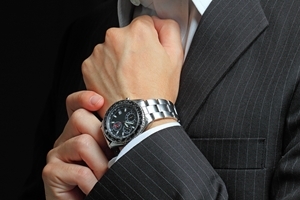 According to Chen, the global watch industry will generate more than $60 billion in sales in 2013. While that is just over half of what the television market is expected to generate this year, the gross margins on watches are about 60 percent. That is four times larger than the television. "This can be a $6 billion opportunity for Apple, with plenty of opportunity for upside if they create something totally new like they did with the iPod – something consumers didn't even know they needed," said Chen. If that is the case, many business IT departments could all of a sudden find themselves trying to manage watches on the wireless network on top of the smartphones, tablets and computers they already deal with. If history is to be believed, the iWatch will be incorporated into the rest of the Apple family and will help with productivity. This is where a quality IT consultant that is familiar with Mac integration can become a valuable resource.